Based in High wycombe, we offer painting and decorating services to the surrounding areas for both domestic and commercial properties. we are a proudly conscientious and professional company. 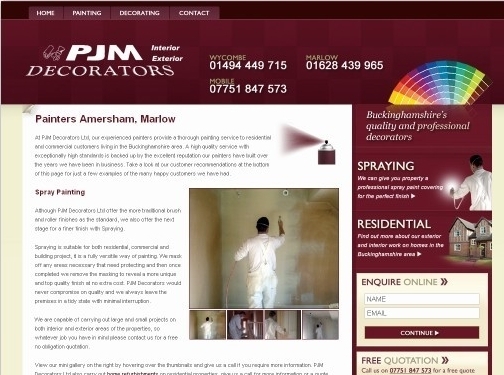 UK (High Wycombe, Bucks) based company providing painting and decorating services. Website includes details of servies provided, associations, full company contact details including company registration and VAT numbers.